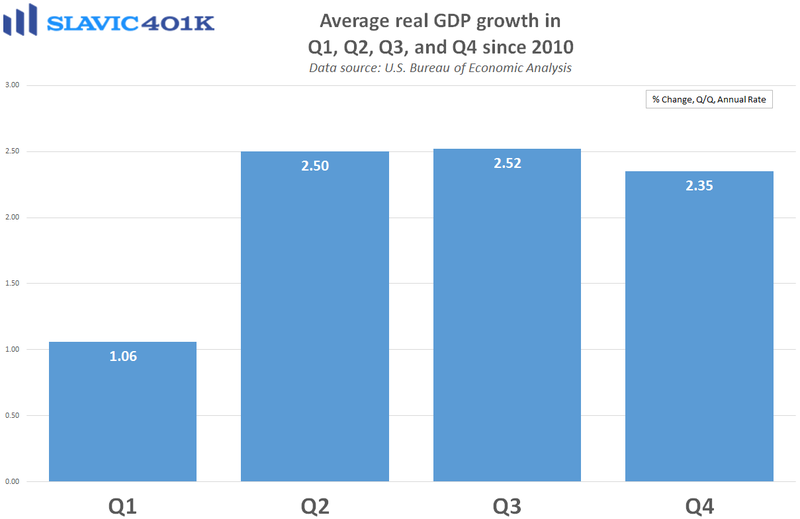 A new report from the Bureau of Economic Analysis (BEA) showed that U.S. gross domestic product (GDP) during the fourth quarter of 2016 grew by more than previously estimated. Specifically, real GDP, which measures the value of the production of goods and services in America adjusted for price changes (inflation), increased at an annual rate of 2.1 percent in Q4. That is an increase from the initial growth estimate of 1.9 percent, and a slightly better upward-revision than economists had anticipated. Essentially all of the improvement resulted from positive services consumption revisions, which helped lift the gain in overall consumer spending, the largest component of GDP, to 3.5 percent, up from 3.0 percent in the prior estimate. Preventing the headline GDP print from being even better was a downward revision to nonresidential fixed investment (business spending), along with the weakest reading on foreign trade since 2004. Altogether, today’s report reinforces the belief that the U.S. economy will rise and fall with the consumer, and the Q4 figures highlight how a firming labor market and improving household sentiment can provide a boost to personal spending. 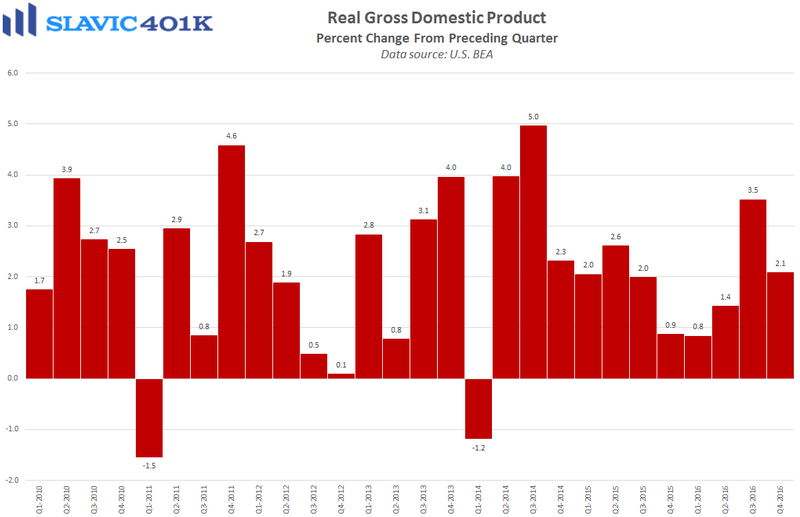 Looking ahead, first quarter GDP growth has been relatively weak during the past few years but recent reports on the economy have been encouraging. Current government forecasts for GDP growth in Q1 2017 range from +1.0 percent to +3.0 percent.